Hello and Happy May Day! 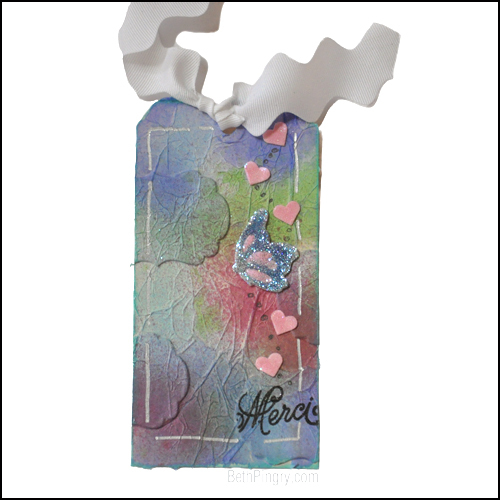 I have a textured tag made with Adhesive Sheets, die cuts and tissue paper! This is a really fun way to add texture and color to any project, check out the photos and tutorial I did for Scrapbook Adhesives by 3L® here. This entry was posted in A Jillian Vance Design, Card, SCRAPBOOK ADHESIVES BY 3L and tagged a jillian vance design, Clearsnap, May Arts Ribbon, SCRAPBOOK ADHESIVES BY 3L, Sparkle N Sprinkle, Tag, Tattered Angels, texture. Bookmark the permalink.